I am sure many have heard that it has been said many times that it is a woman’s prerogative to change her mind – well little did we realize maybe how important it is and how much a change in thought and a change in word can change everything – even our health – I hope you will read and think about the points in this article – Comments will be open and available for viewing upon approval. Yet, if you simply search the Internet or read your paper, or follow the news, and so on, you discover that every day we are being informed of the powerful effect attitude has on wellness. Not directly so much as indirectly and even subliminally. Think of the issues we see reported as the primary causes underlying so much illness today. Repeatedly we hear of addictions, obesity, fast food, various food additives, fitness and more. How important do you think attitude, a reflection of our beliefs, is to matters of this sort. There is no denying the importance of remaining fit as a part and parcel of good health. Indeed, in almost all areas of health care, exercise is emphasized as both a measure for full recovery and as a prophylactic preventing future illness. With that said, most Americans fail when it comes to a regular exercise habit or routine. The Center for Disease Control (CDC) considers exercise a key to good health. In their February 2011 report, they laid out what was necessary to curb the rising obesity problem and reduce the cost of medical care and prescription drugs. The cost involved as a result of the lack of exercise on health is devastating as is the out of pocket dollar cost. Indeed, according to the 2011 government numbers, “34 percent of American adults are obese and another 34 percent are overweight. Managing our personal health care involves much more than just attentiveness to a regular exercise regime. It also includes nutrition, rest, stress management, and attitude. Now matters of nutrition are obvious and the need for proper sleep and stress reduction are also well known. That said, many people fail to do anything about stress. That is, we know when we’re not sleeping well and therefore typically take action to mitigate sleeplessness. However, stress builds slowly, accumulating over time. There are two inherent aspects of stress then that we need to be cognizant of. The first, stress does accumulate and can manifest suddenly through many disease routes, perhaps the best known of which is cardiac disease. It can wreak havoc on the optimal operation of our endocrine, immune, and autonomic nervous system. Second, stress can manifest slowly by way of tensions, anxiety, blood pressure and so forth. Many people find that they assuage anxiety and stress by eating or smoking. So, all the while stress is accumulating it may be taking another path that is further damaging one’s health. Living long and remaining healthy is something we all want. Ask the teenager if they would like to live to be 100 and the likely answer is an emphatic “No.” Unfortunately that is due to their expectation or attitude toward age and “old” people. All too often aging takes a toll that betrays our best and instead reveals the lack of attention we gave to our health when we were younger and had it. This is the image that so many young people see and this is the image that they therefore put in their heads as the expectation for what will happen to them when they too grow old. Thus the statement, “Only the brave grow old.” Now, ask a 99 year old if he/she wishes to live to be 100 and the answer is typically yes! So what’s the lesson here? There are at least two levels to be considered with regard to expectation or attitude. The first comes down to the fact that the hard research shows that our expectations often come true. Consider this by way of example. Years ago, I did some research regarding the role of the mind in wellness, and it eventually led to a CD training collection and companion book: Wellness: Mind Over Matter. One of the studies I came across was most interesting and relevant to the whole matter of my beliefs regarding aging and, for that matter, dying. In this case, the Chinese birth sign was used to compare death with the expectation factor. According to the Chinese system of astrology, each birth sign provides information about the individual in terms of their occupational proclivities, talents, interests, and even the eventual cause of death. According to researcher David Phillips, the data showed a clear relationship between the astrological sign and the cause of death. In other words, if you were born believing that you would die of cancer due to astrology, then cancer is what you got. Attitude is part and parcel of expectation. Our attitude influences us on a daily basis. When our mood is down our body bears witness to it. It’s no wonder people approach us and ask, “What’s wrong?” when we feeling blue. Our attitudes are telegraphed by our facial expressions, our body posture, tension and other physical characteristics as we go through life. Let me remind you that the body analogously has two budgets, one for growth and one for defense. When we keep the body in a state of vigilance, anxious or angry, sad or blaming, and so forth, we essentially spend our budget on defense. The body pays a very real price for this! 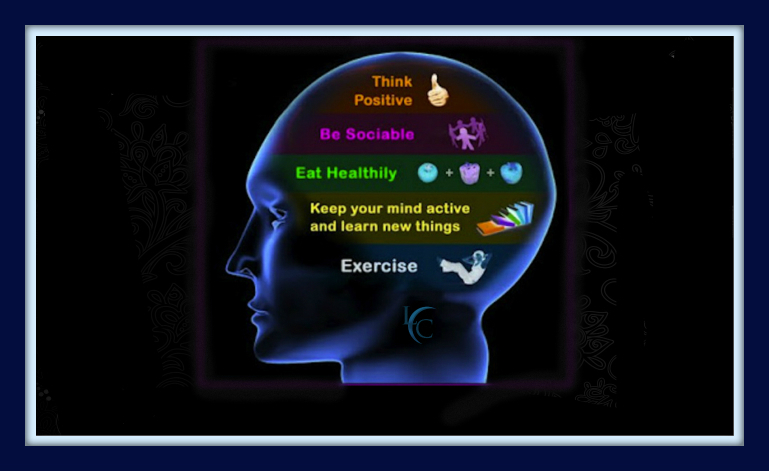 Maintaining an optimistic and positive attitude then becomes as important to our health as exercise and diet. Our attitude definitely impacts what we find stressful and how we desensitize stressful stimuli. Our attitude also directly influences our sleeping patterns. From an overall perspective, we must understand that it is the thoughts in our head, our attitude if you will, that determines much of our health. With the proper attitude, we find exercise fun and rewarding. With a healthy outlook on life, we enjoy good nutrition and pass on the fast foods and fattening sweets. With an optimistic attitude we have every right to expect a long healthy life full of smiles and laughter. With the right attitude we find sleep easy and natural at days end. With an attitude of respect and love toward ourselves, we find our body remains young, fit and healthy! Self-sabotage exists because of a belief. Our attitudes are mirrors, tiny examples of our beliefs. Our beliefs are intricately connected like spider silk forming a giant web–they do not exist in isolation. Touch any one belief and the entire web is disturbed and this can be why it seems so difficult sometimes to make a change. That said, new research confirms that of all the things a person can do to improve the quality of their life, nothing is as powerful as a personality change, but making this change unaided can be challenging to say the least.